A little red show off! 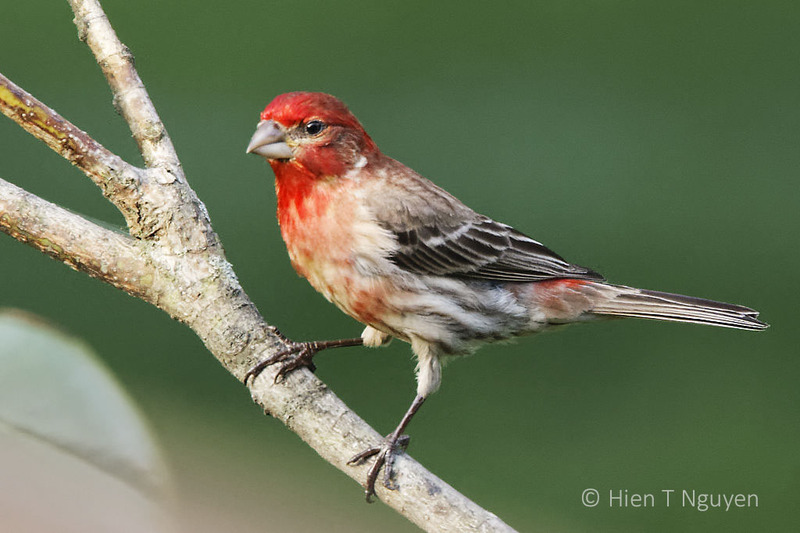 Gorgeous Hien ..
Nice one Hien, the House Finches around the area I am in now are starting to show their spring colors. WOW, he is a stunner! 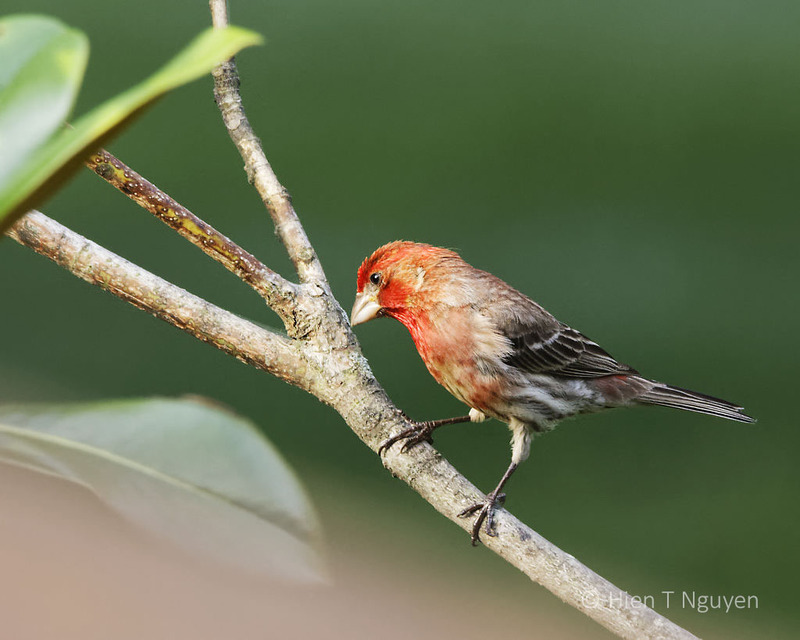 I lived in Hawaii for a few years and we had yellow house finches but I’ve never seen one this bright red! Stunning photos! My first thought was that that’s the reddest finch I’ve ever seen. Never considered it might be a matter of diet. Very gorgeous captures. He’s going to stand out among the crowd! Such a fiery red! Beautiful birdie! Wow, Hien. He is gorgeous and you made two terrific captures of him. He is so pretty – the colors radiate off my screen. Wonderful find Hien.